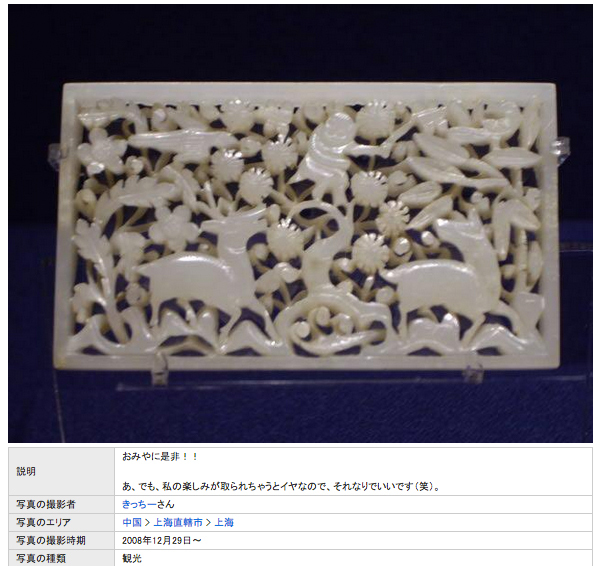 From a Frida estate, brought to the United States in the 1910s by a couple that had been missionaries in China. 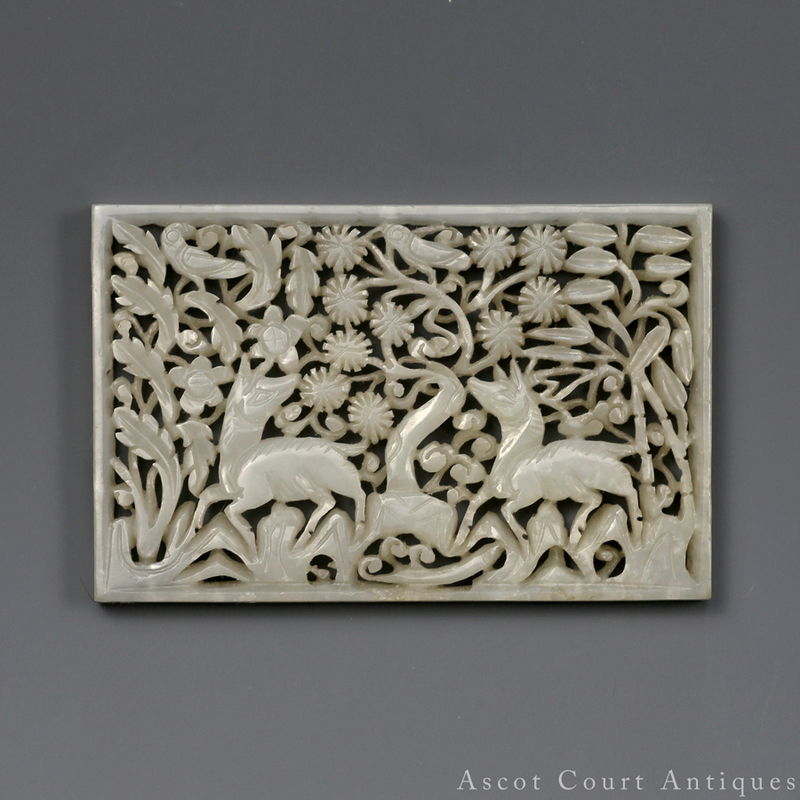 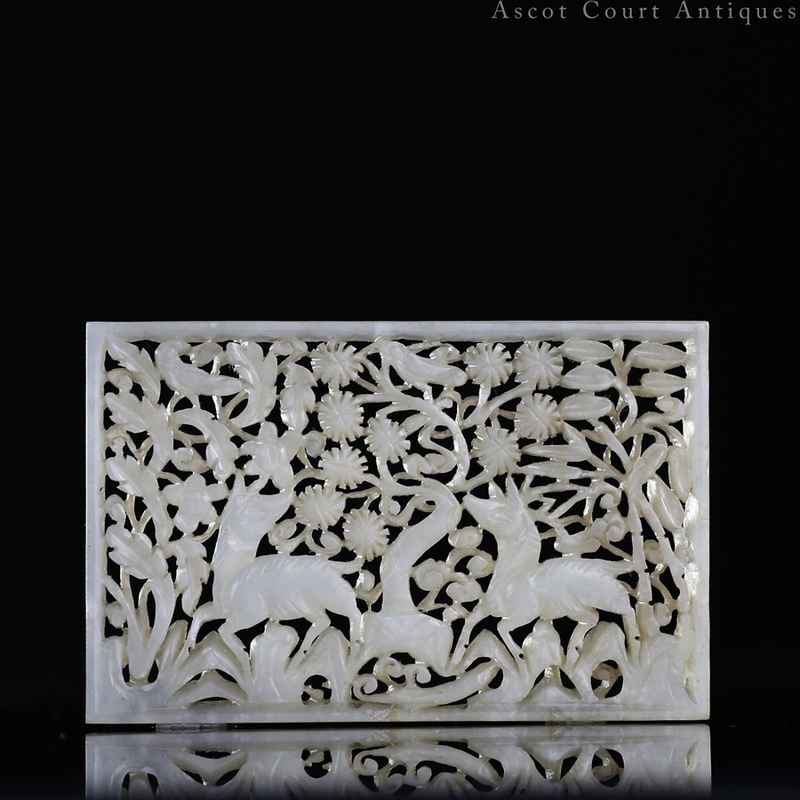 An expertly carved late Ming jade plaque, the stone of a grayish white or light celadon, which has been hollowed out to form a reticulated scene of deers amongst curling trees and flora. 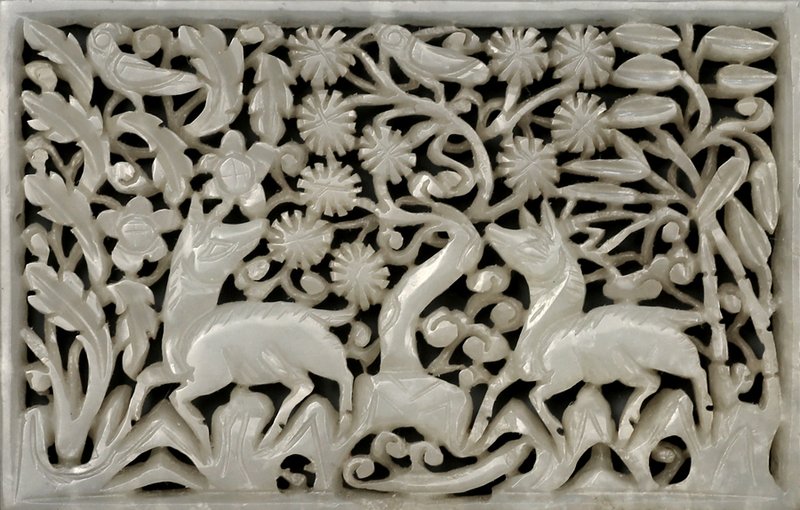 The rendering of the deers and tree leaves are very typical of the 16-17th century. 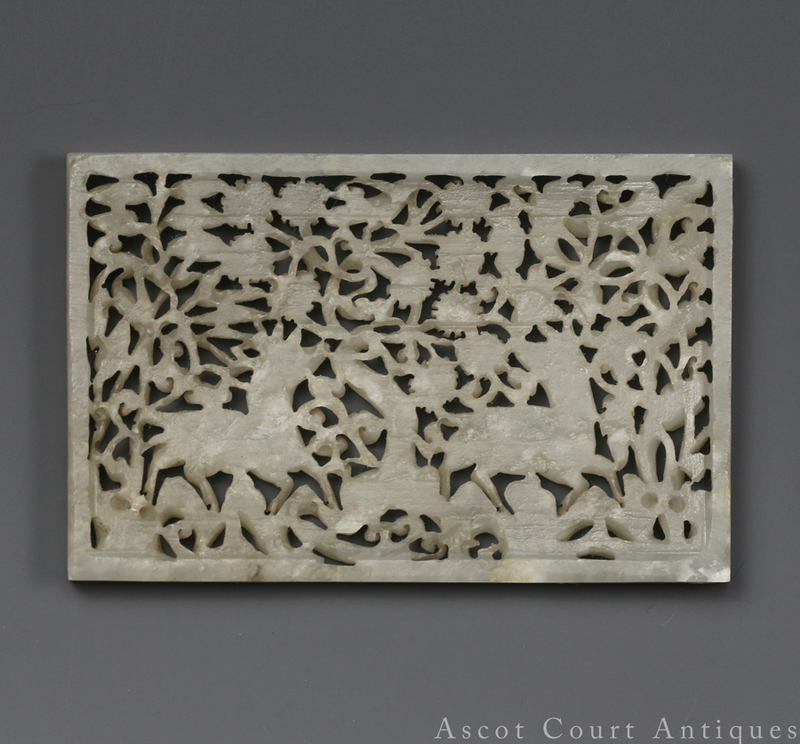 The workmanship pairs intricacy with sweeping linear movement, so that the ensuing image seems to be imbued with vitality and wonder. 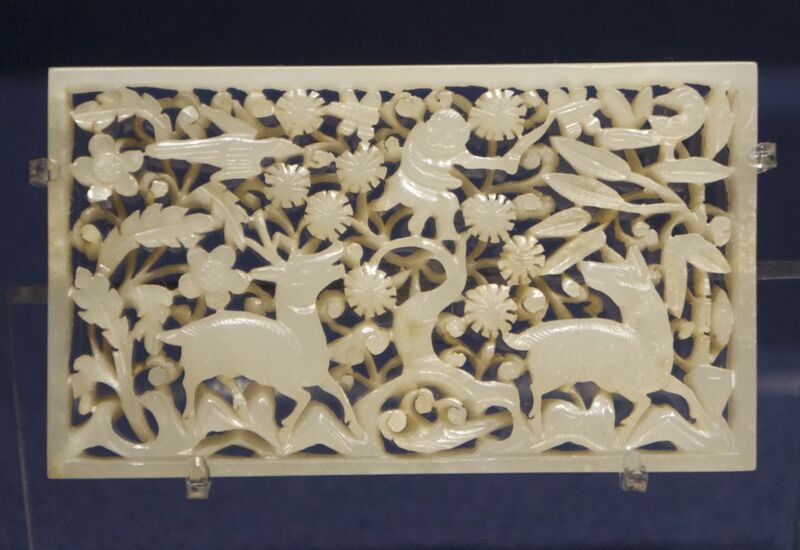 A very similar jade plaque is in the Shanghai Museum, dated Ming and described as a “belt plaque with deers”.